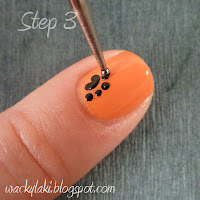 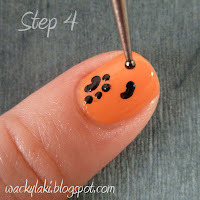 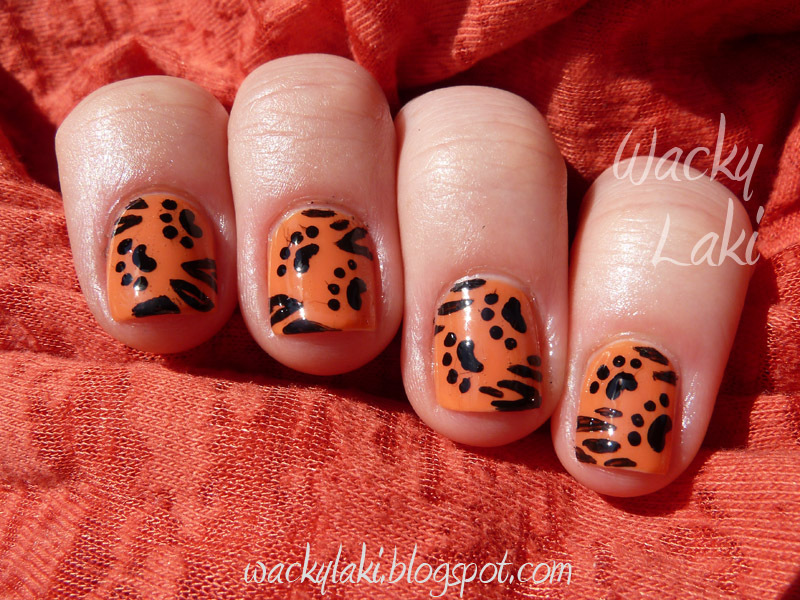 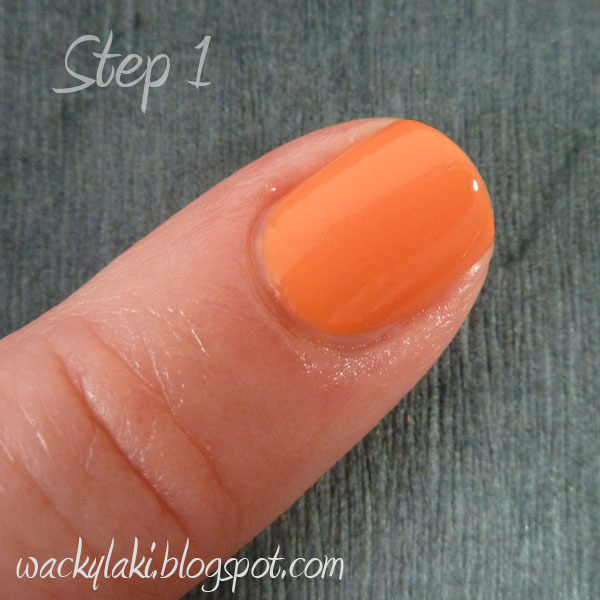 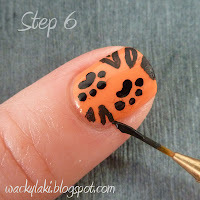 Today I have a fun tutorial for the tiger manicure from yesterday. 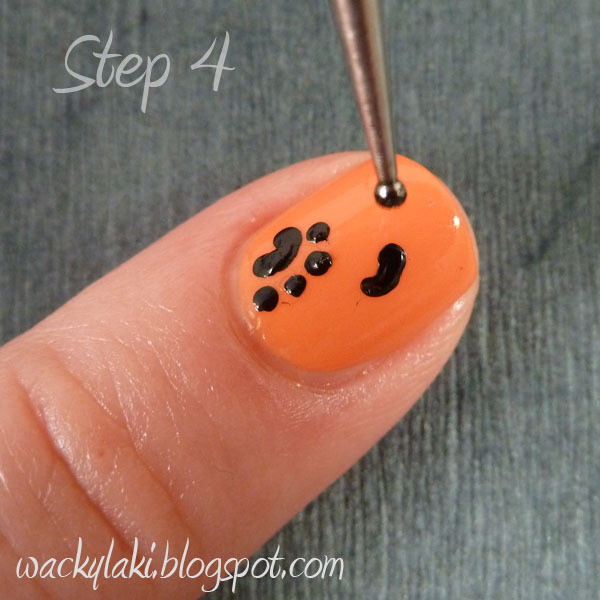 There are two options for this, depending where you stop in the tutorial. 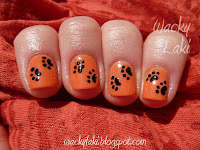 Also, feel free to click on any of the photos to enlarge. 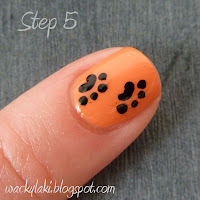 Note: You can use either nail polish or acrylic paint for the paws and the stripes. I used polish for the paws and paint for the stripes to show that in the end you can't tell them apart. 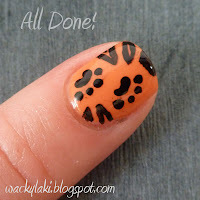 For me paint is easier to work with. 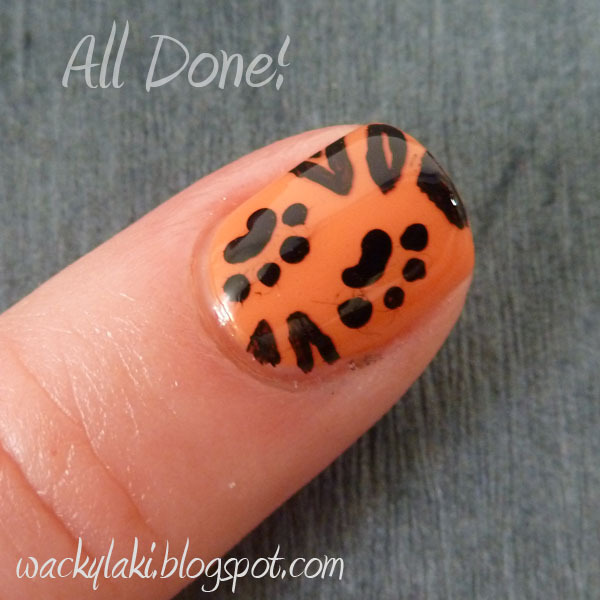 I would love to know what you think about this or if you try it! Great tutorial,very helpful, I think I can do it, thankyou. 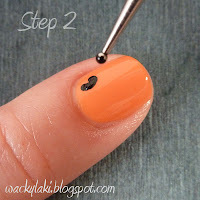 Thank you for showing the dotting tool actually touching the nail-this really helps me understand how to do it!!!! love! 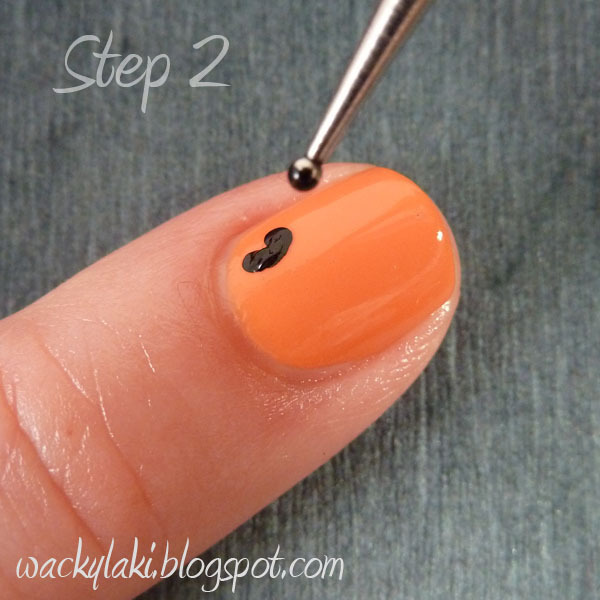 you make it seem so simple! I'm glad this was useful! It is very easy once you break it down into steps!